If you wait to drink until you’re thirsty, you’re already too late. If you’re not pre-hydrating before you ride and rehydrating on the road, you run the risk of dealing with some serious side effects that could harm your performance and your health. Here are five signs of dehydration to watch out for – and how to deal. What to do about it: Rehydrating as soon as possible is key, she says. “But it’s important to note that oral rehydration involves more than simply drinking water,” he says. “Since we lose water and electrolytes, it’s optimal to replace both of these when managing clinical symptoms.” Adding an electrolyte-infused drink mix to your water bottle when things get tough can go a long way in bringing your fluid and electrolyte levels back to normal. If your heart rate is abnormally high, though, Modabber recommends decreasing your energy output until it calms down. What to do about it: If you’re feeling dizzy or lightheaded while riding, the first thing to do is a no-brainer: “Stop immediately, as you risk crashing and doing serious damage to yourself,” Gaffney says. Then, prioritise your electrolytes. “When your body has an electrolyte imbalance, it doesn’t absorb fluids like it should,” says Williams. 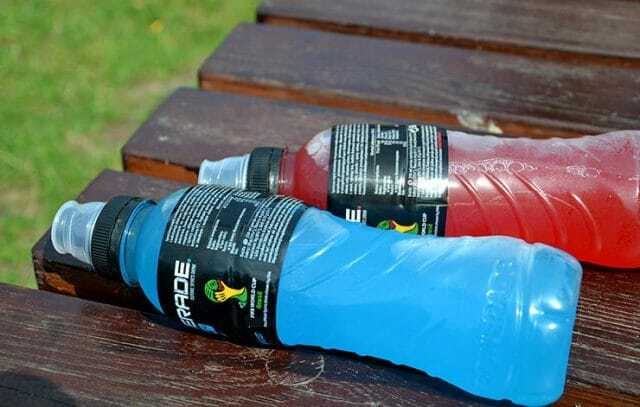 A solution with a balance of sugar and sodium can help you replenish fluids and electrolytes effectively and once you replace what’s been lost you should feel better, she says. But you shouldn’t wait for symptoms; hydrating while riding will maintain your fluid and electrolyte levels and prevent future dehydration, she adds. What’s going on: There are a lot of things that can cause headaches, but if you started your ride feeling good, didn’t drink much, and are now suffering from a headache, chances are dehydration is to blame. “Dehydration causes the brain to shrink and pull away from the cranium which causes the pain receptors in the membranes around your brain to become irritated,” says Shayne. What to do about it: Surprise: Drink more. “The best way to alleviate a headache due to dehydration during a ride would be to rehydrate properly, and/or take an over-the-counter pain reliever,” says Williams. Dehydration headaches tend to feel like hangover headaches, so anyone who’s ever chugged a Pedialyte after a rough night out would be well served to try the same thing here. Another alternative is using a powdered oral rehydration solution like Rehidrate. And next time, make sure to hydrate before you saddle up, so any additional fluid loss doesn’t derail your ride. What to do about it: This is something you can try to monitor during your ride, especially over the course of very long rides. “The colour of your urine should be clear or a very light straw colour. If you notice your urine is anything darker than clear or a very light straw colour, you aren’t drinking enough or you’re exercising too hard for the climate you’re in, and you need to adjust accordingly,” he says. The next time you take a pee break, you should see an improvement in the colour if you’re doing things right; otherwise, continue to adjust.